From a Jimmy Stewart perspective, this final expansion of the Fed’s role, dramatic though it was, seemed to be nothing more than an extension of traditional lender of last resort support. 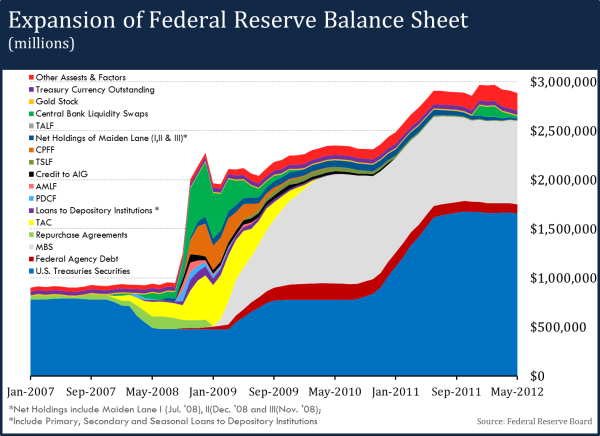 The only difference was the scale of lending, which meant that the Fed could not longer fund its lending simply by liquidating its holdings of Treasury bills. Now it had to expand its liabilities as well, mainly by borrowing from member banks (paying interest on reserves for the first time), and by borrowing from the Treasury to make up any funding difference. The source for the market liquidity that allowed mortgage-backed securities to be priced at the levels they were priced is the credit insurance markets: ‘the key to the whole thing was the credit default swap market, and the key supplier of market liquidity for credit default swaps was the investment banks, especially the investment banks that put together the original securitization deals’ (p. 127). The ruling concerned a structured finance product developed in 2006 by the Dutch bank ABN Amro, known as a C.P.D.O., which stands for constant proportion debt obligation. In reality, it was not a debt obligation at all. The bank took money from the investors, borrowed more, then wrote credit-default swaps against a basket of corporate bonds. It was a gamble, and a particularly risky one in that it effectively called for increasing the amount wagered if one bet lost money, on the theory that over time everything would work out. If the losses kept rising, however, the investor could lose as much as 90 percent of the initial investment. In the end, that is exactly what happened. So, as long as investment banks cheated on their clients by selling them complex products which would blow up in their faces – the Australian judge found bank and rating agency guilty – there was market liquidity. When the game was up, the financial system lost all confidence in itself. Perry Mehrling concludes with the idea that a central bank manages both funding and market liquidity at the same time, whether it wants to do so or not. His closing sentence is the following: ‘The survival constraint is the discipline that maintains the coherence of our decentralized market system, and management of that constraint is the most important duty of the central bank’. I think many economists can agree with this, as idioms like Paul Volcker’s ‘taking away the punch bowl before the party gets started’ suggest. Knapp (1905) never wrote that government spends first and taxes later – did he not “get it”? Will the price of Bitcoin fall to zero?